Fashion Polish: Enchanted Polish Art of Magic collection swatches & review! 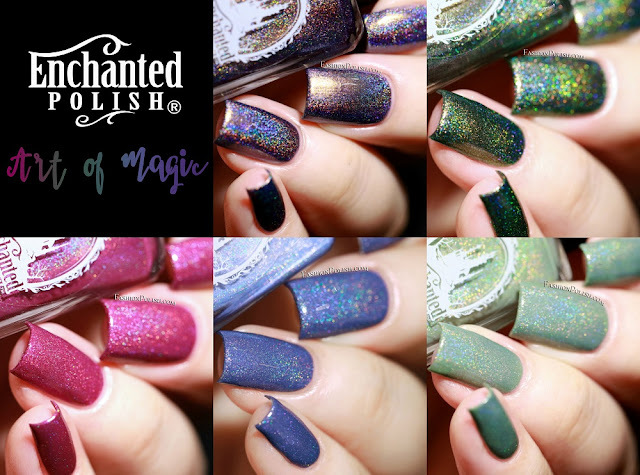 Enchanted Polish Art of Magic collection swatches & review! It's the weekend, finally! I don't know about you but work has been killing me lately. September isn't usually our busiest time of the year but it certainly feels like it lately. I finally received them yesterday and if you're following me on Instagram, you've probably seen the swatches I shared late last night but here we go! Love Potion is a a deep orchid / berry holo. 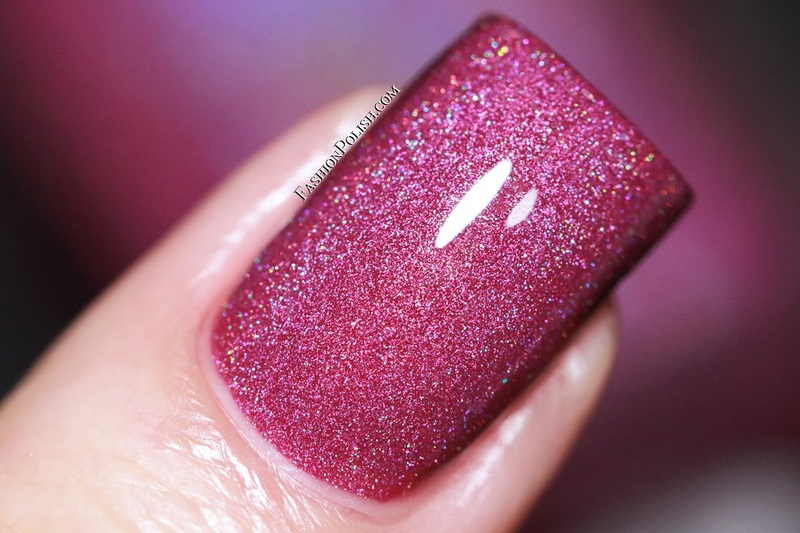 It's the perfect mix of pink and purple and exactly what I'd wear if I was in a mood for pink. I love it! Smooth creme formula and a pleasure to work with. I used 2 coats plus topcoat. 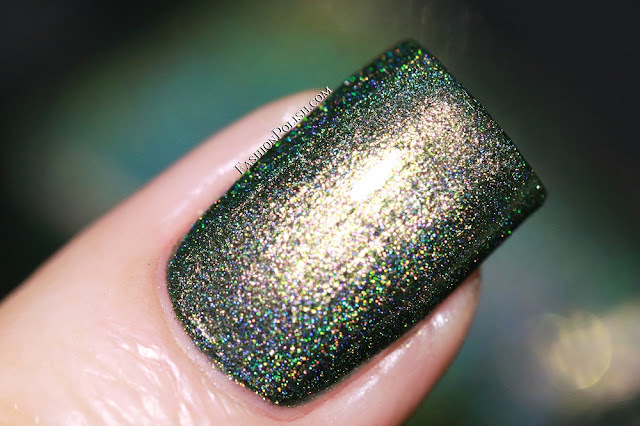 Charmed is a pale sage green holo with a creme formula. 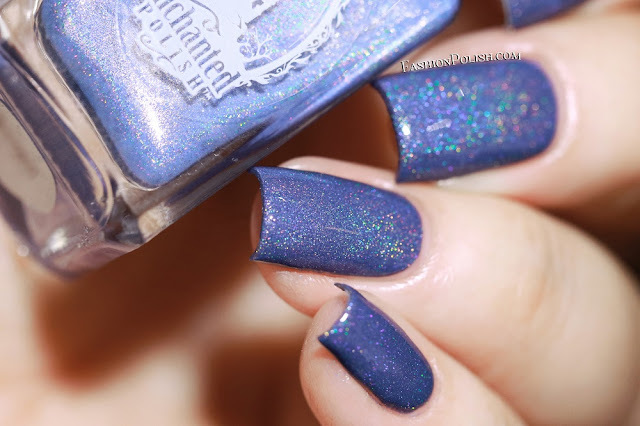 It's very different from the other mint greens in the Enchanted Polish range and a perfect addition to it. I love the dusty look sage greens have this one nails it. Flawless application and formula and a 2 coats coverage. 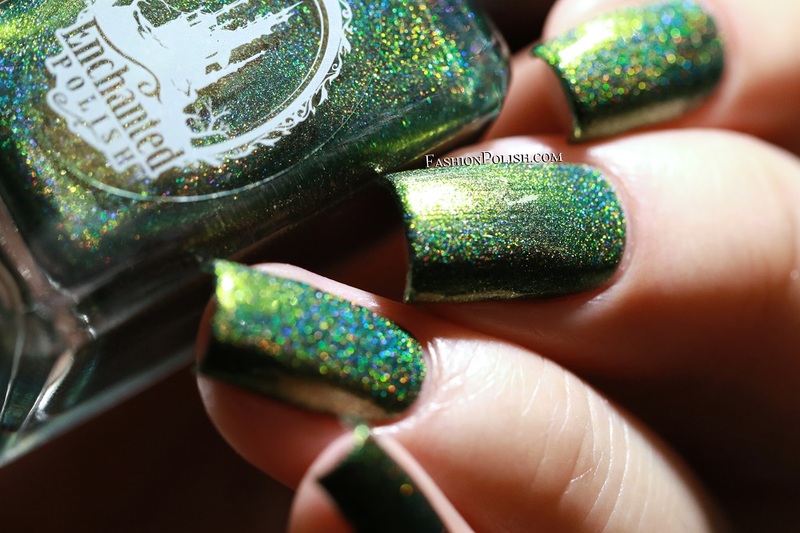 Wicked is an apple green with a strong red red/copper/gold/green multichrome shimmer. 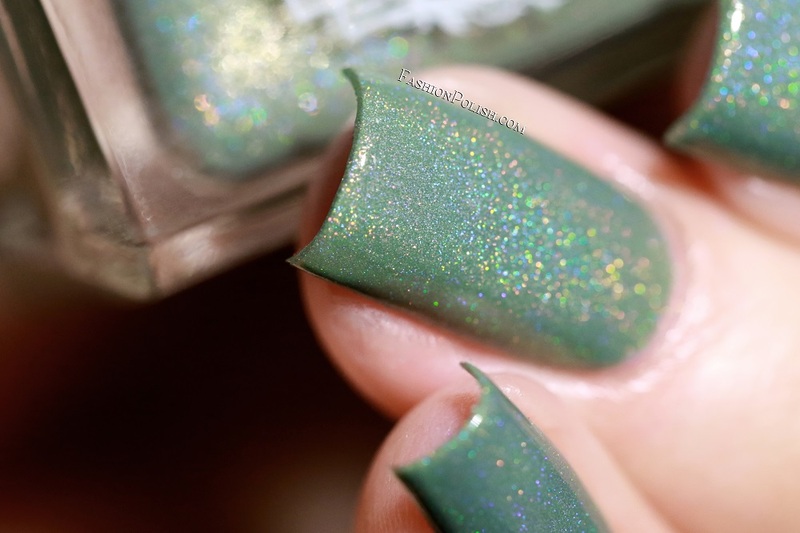 I loooove this polish so much, it has instantly made it among my all time favorite greens! Formula was more metallic and just as easy to apply with no visible brushstrokes. Shown below : 2 coats plus topcoat. Bewitched is a periwinkle holo with a creme formula. 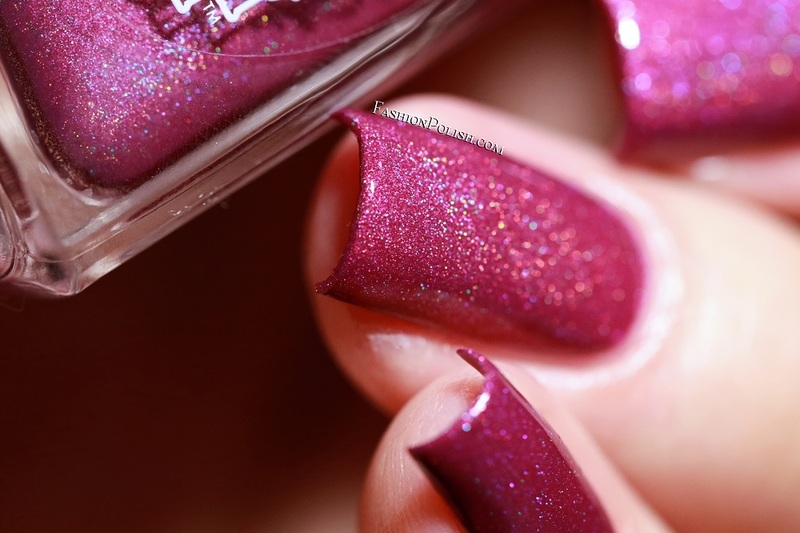 If you own Reign Beau, this one's a deeper, more purple color. I feel like I'm repeating myself a lot but, really, this is spot on! It's such a beautiful blurple. 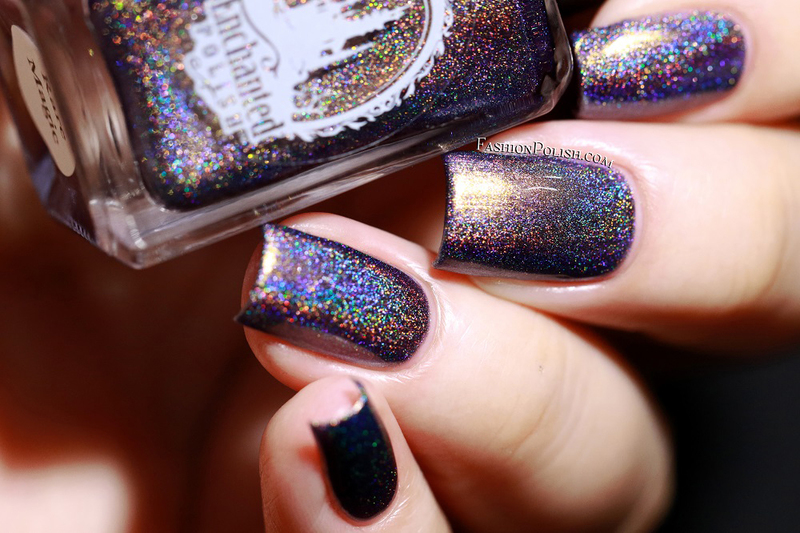 Formula was similar to Love Potion and Charmed, making it an easy 2 coater. 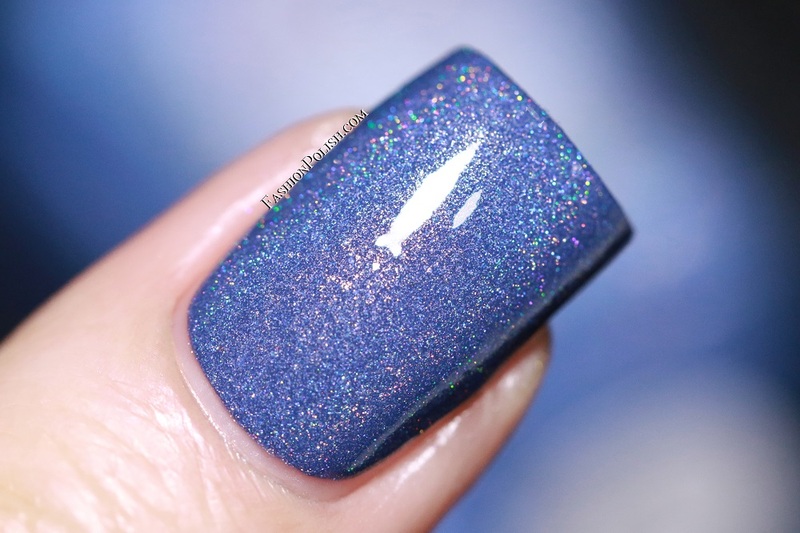 And last but not least, Rare Magic is a vivid blue based purple holo with a strong flame and copper/gold/green/blue multichrome shimmer. Jaw-dropping! This color seriously rocks guys! 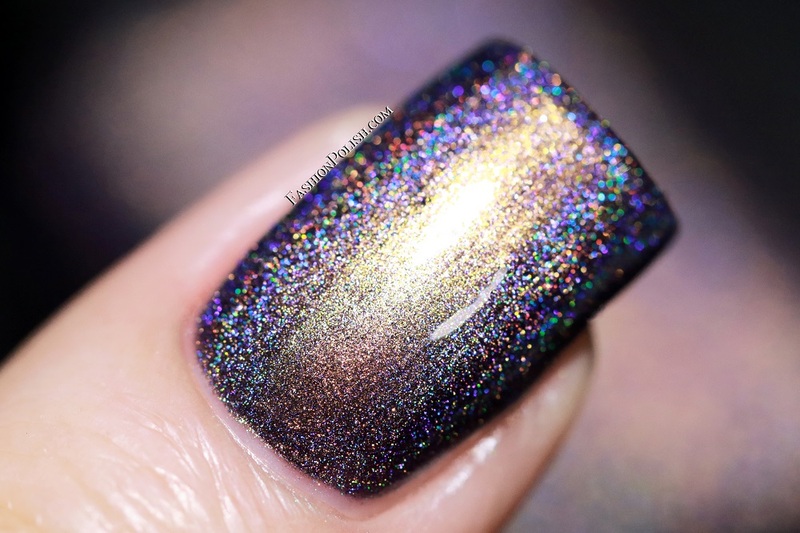 It's a smooth almost metallic shimmer in the shade and a strong holo multichrome under direct lighting. Smooth, brushstroke-free application and a 2 coats coverage. I'm seriously amazed by the level of awesomeness in this collection. If you haven't purchased them during the first days of pre-order, trust me you do not want to miss out! The Enchanted Polish Art of Magic collection is currently available on www.enchantedpolish.com and retails for $16 each. Pre-order ends today at 10am PDT so hurry and grab the ones you like.